Buffalo doesn't get enough credit for our many classic food pairings. Beef on weck, fried bologna and onions, and a fish fry with tartar sauce are staples of area menus. Yet only one food combo has people lining up outside - the almighty pizza and wing combo. "Pizza and wings go together like coffee and doughnuts," said Hector Leonardi, owner of Leonardi's in Amherst. "It's just become a staple." "It's so Buffalo. It's probably my favorite food coma. They go right together," said the "Wing King" Drew Cerza, adding that pizza and wings gives you carbs and protein together for a full meal. The origins of the pizza and wing combo are difficult to trace. Though some tie it in to the success of the Buffalo Bills in the 1980s when large groups of friends and families gathered to watch the games and needed to be fed, it feels more like an organic local phenomenon that has always been a part of Buffalo. "I've been here since 1997, and it's always been a thing," said Rich Bernecki, manager at Bob and John's La Hacienda on Hertel Avenue in Buffalo. "It's local flavor. 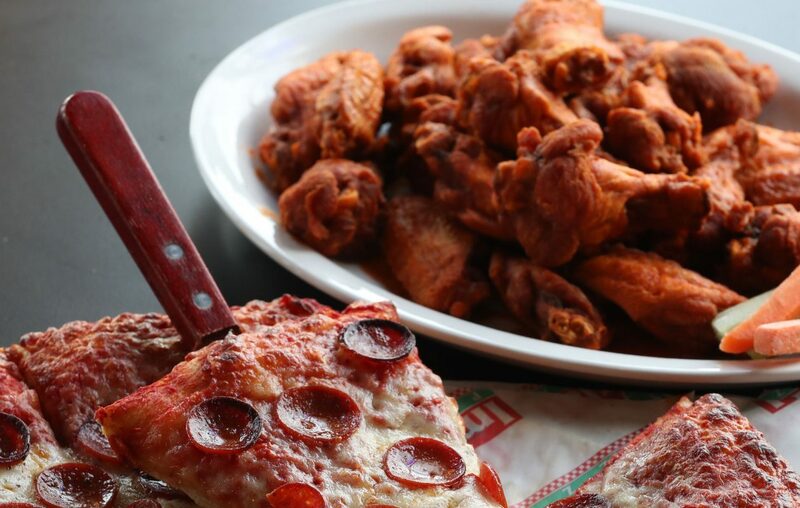 When people come in from out of town, it's always pizza and wings. You can't just get one or the other." Greg Durrett, manager at Blasdell Pizza on South Park Avenue, agrees. "It's a Buffalo tradition. Matter of fact, you don’t even see it in Rochester," said Durrett, who adds the ease of ordering is one reason why it's so popular. "You watch a game, get a box of beer and pizza and wings." Penora's Pizza is a family business that opened in the Depew and Lancaster area in 1977. It moved to its current location at 5055 Broadway decades ago. Co-owner Lori Dischner said pizza and wings have been part of the menu since the beginning. Customers ordering Penora's combo special get a free 2-liter of pop with their meal. "(My dad) didn't know anything about it, but he was sick of working three jobs," Dischner said. "He tried this. He still had to work a couple jobs until we got going." It's not all about football for Donatello's in Niagara Falls, however. For 25 years, Donatello's has had unique peak times of the year thanks, in part, to tourist business. Owner Steve Fournier said he sees a lot of business during the summer. Donatello's is closed on Sundays, even during football season. "Sundays are a tricky day," Fournier said. "A lot of my business is from doctors and lawyers. Sundays we're closed, and it's not worth me opening up for a couple of hours for football, because it takes a long time to build." Just as we can attribute part of the rise of pizza and wings to the popularity boom of the Buffalo Bills, the team's lack of success in recent years has curbed business, Fournier said. "I had a nightclub in the '90s when the Bills went to four Super Bowls," he said. "What a party that was. It was a great time. But now? Eh." In his travels, Cerza has noticed that some ex-Buffalonians have opened restaurants in places like Charlotte with pizza and wing combos, but it's a rarity outside of the area. 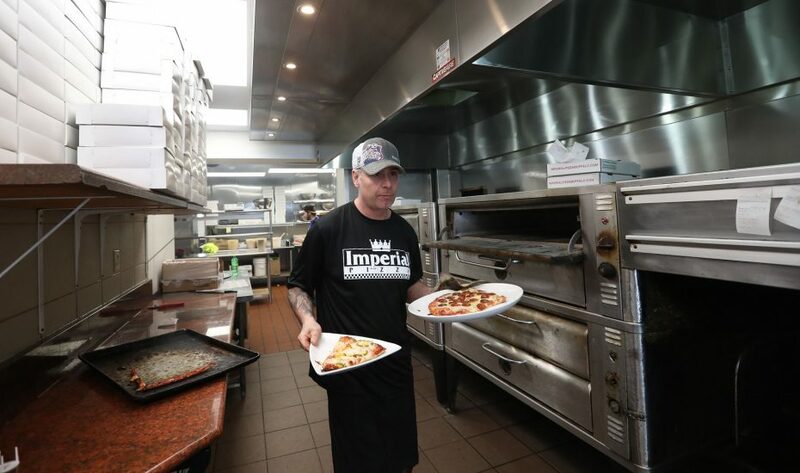 And those pizzerias/restaurants are usually chains, said Brian Cowley, manager at Imperial Pizza. "They're all over the place down South and everywhere else. But [here], we have neighborhood pizza places that just stick to that. We have the wings right away. We have a different style of pizza from everybody. It's just like our comfort food." Regardless of its beginnings, the pizza and wing combo is definitely big business in the Buffalo region. Pizzeria owners said their biggest days of the year are Halloween, Thanksgiving Eve and Super Bowl Sunday. 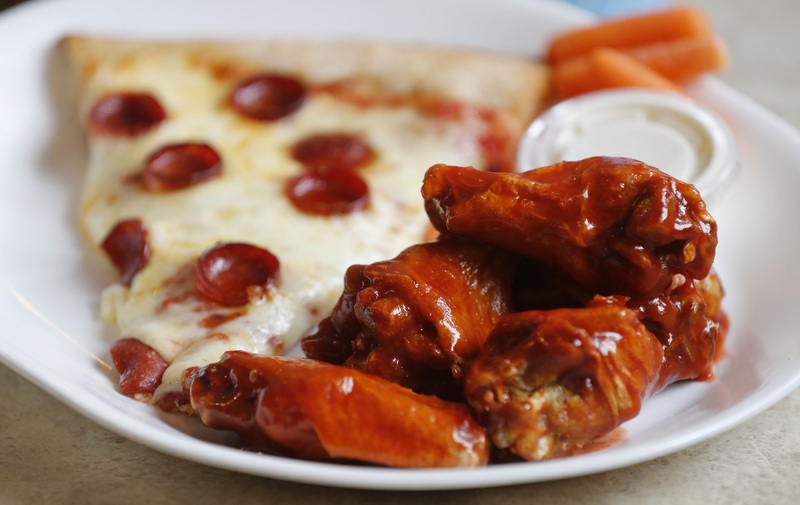 Bob and John's reports about 98 percent of its business on Halloween night was pizza and wing combos, with 300 large pies going out the door. 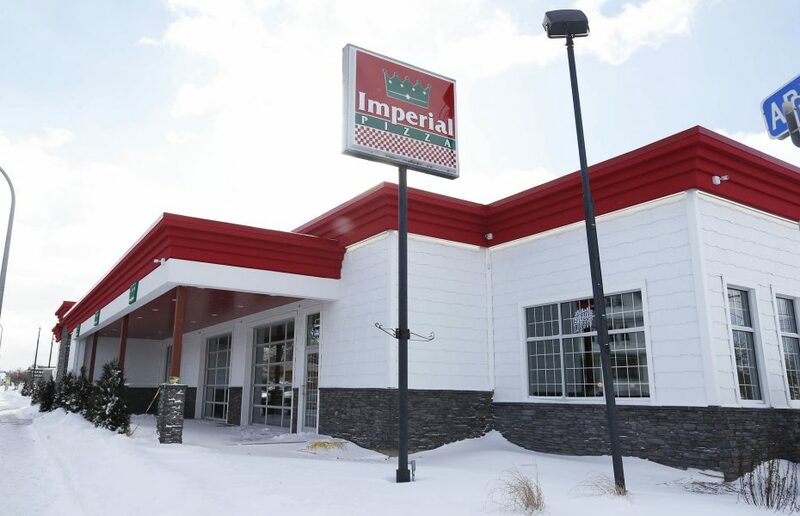 Imperial Pizza in South Buffalo is prepping for the Super Bowl, and customers better be alert. Imperial sells limited "time slots" in 15-minute increments on game day, and they will sell out. "We are absolutely nuts with the Super Bowl," Cowley said. "There's a line that wraps around our building." The big game is understandable - what's easier to feed a big crowd than a sheet pizza and bucket - but why is Halloween such a big combo night? "The Super Bowl is the runner up, but Halloween is our busiest night," said Durrett, from Blasdell Pizza. "On Halloween, anybody who has kids are getting ready to take them out and they don’t have the time to cook." Even though many of the owners and managers worked in pizza kitchen for years, they still enjoy eating their most popular foods. Dischner said she eats pizza every day. "(I eat) too much of it, definitely," Bernecki said. "You never get sick of it. It's weird." Serving North Buffalo since 1972 means many people in the neighborhood have their Bob and John's menu near the top of their take-out menus at home. Some customers order the pizza and wing combo every week, with a combo special offered on Thursdays. "We have our regulars that we can always count on, like clockwork," Bernecki said. "Sometimes if they don't order for a while, you get nervous." "Pre-order as early as you can. As soon as you know what you want, order it."